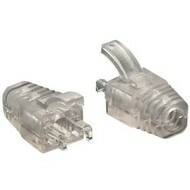 Clear Strain Relief Boot for Cat.5E UTP RJ45 Clear 100pack - NWCA Inc.
RJ45 Clear Color Strain Relief Boot, (Pack of 100) Once crimped, this design allows the strain relief boot to relax slightly, preventing the cable pairs from being over compressed. 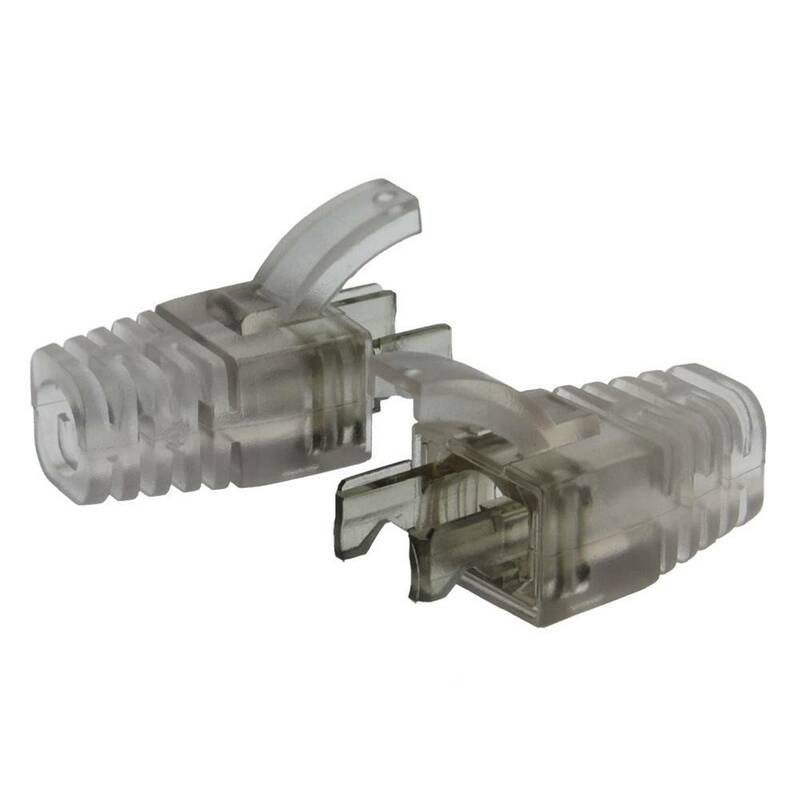 This decrease in stress contributes to achieving stable Ethernet connection. 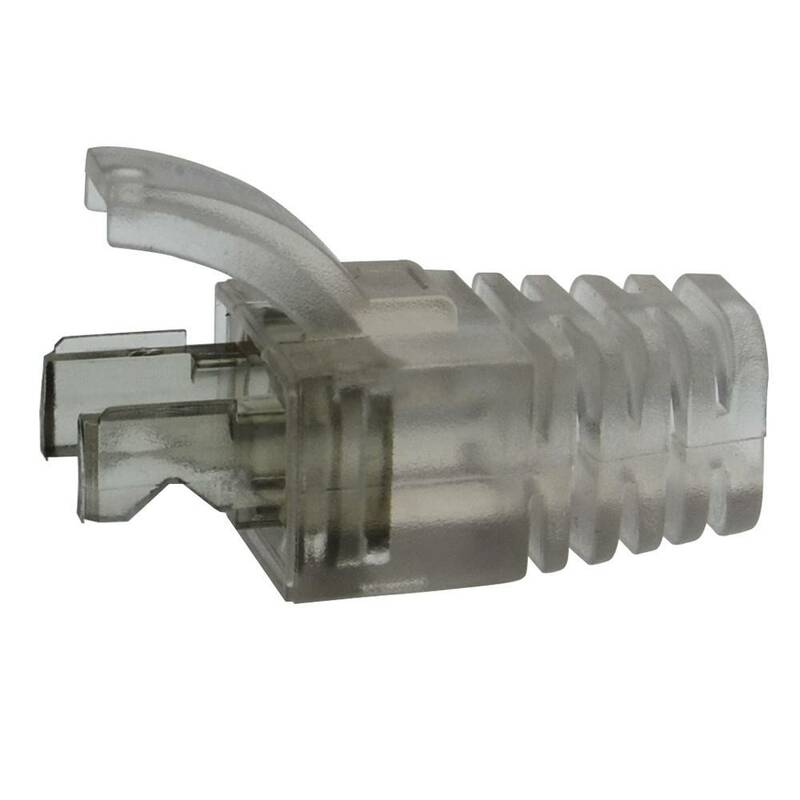 The tab on the strain relief is designed to extend over the plug's locking tab, making it snag proof when administering patch cables. All our RJ45 boots are RoHS compliant.